She has the national profile. She has the money. What Senator Elizabeth Warren may not have, should she decide to run for the 2020 Democratic presidential nomination, is the endorsement of Massachusetts voters. A new poll shows a healthy majority of her constituents don’t think the Cambridge Democrat should jump into the 2020 race, which essentially begins as soon as the November midterm elections conclude less than 50 days from now. Fifty-eight percent of likely Massachusetts voters said they don’t think Warren should run for president, according to a Suffolk University Political Research Center/Boston Globe poll. “This was a shocking finding to me, given that Democrats like her so much, and she has been making moves to run for president. 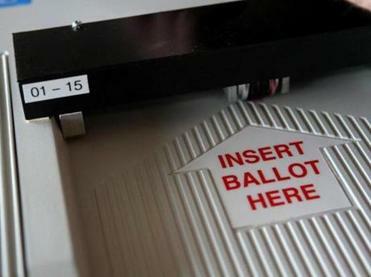 I would have expected her to be leading this list of potential Massachusetts presidential candidates,” said David Paleologos, director of the poll. Only 32 percent of those surveyed said Warren should run. That’s about the same level of enthusiasm generated by former senator John Kerry. He got the support of 33 percent of voters — and, unlike Warren, he isn’t on anyone’s short list for strongest possible challengers to President Trump. But the poll of 500 likely midterm voters — Democrats, Republicans, and independents — showed the state’s voters better liked the prospect of a former Massachusetts governor, Deval Patrick, getting into the presidential race: 38 percent said he should run, while about 48 percent said the 62-year-old Bain Capital executive should stay out. The poll had a margin of error of plus or minus 4.4 percentage points. Fifty-eight percent said they don’t think Senator Elizabeth Warren should run for president. Warren, 69, maintains she’s focused on winning reelection in November, not running for president. But Republicans, including her opponent in the Senate race, Geoff Diehl, have used her expected presidential bid as a main attack line in the campaign. Don’t reelect Warren, she will just ignore you as she focuses on her higher ambitions, the GOP argument goes. In interviews, voters who participated in the Suffolk/Globe survey gave a different reason for wanting Warren to stay out of the race: They’re worried she couldn’t win. “Part of the reason has to do with gender politics. I think there are still some people out there who won’t vote for a woman, and I would hate for that to be the reason why Donald Trump will be in the White House for four more years,” said Eva Olsen, a 26-year-old independent from Watertown. She wants to see Patrick run instead. That is not to say Warren doesn’t have her fans. The same poll showed a majority of voters, 57 percent, view her favorably. The tepid home-state support for a Warren presidential run stands in contrast with some national polling and prognosticating that shows her at the front of the potential Democratic pack. It also might reflect a home-state phenomenon — voters in other states are sometimes reluctant to see their own local politician on the biggest stage in American politics. That said, Massachusetts has been the home of a serious presidential candidate in three out of the last four elections: Kerry in 2004, and former governor Mitt Romney in 2008 and 2012. 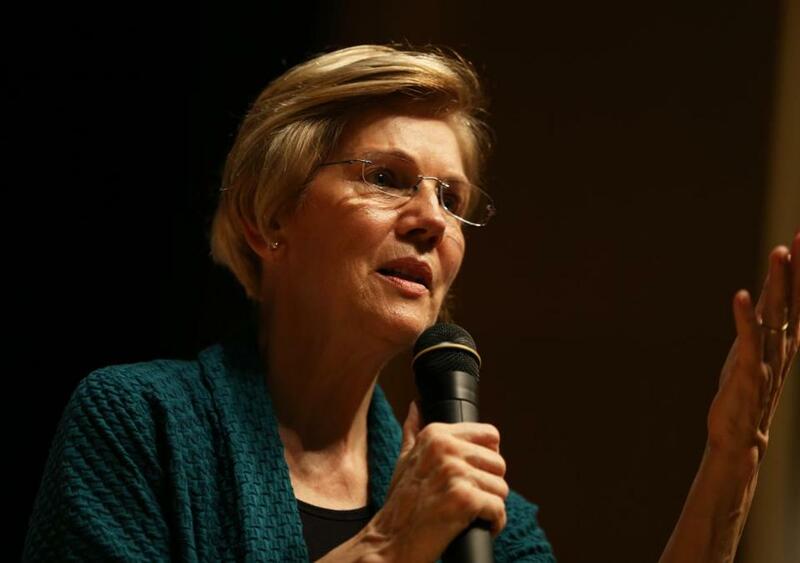 In a separate Suffolk University poll this spring, Warren emerged as the front-runner in the next New Hampshire Democratic presidential primary, a key proving ground. In August, a Politico/Morning Consult poll showed her beating Trump in a potential general election matchup, but not by as much as two better-known candidates: Joe Biden, the former vice president, and Senator Bernie Sanders of Vermont. That poll didn’t include Patrick, who has said a presidential run is on his “radar screen.” And he’s been ramping up his political profile of late, traveling the country in support of Democratic campaigns. Two of his former aides in August launched a federal political action committee to help Democrats in the 2018 midterm elections. Other Massachusetts politicos who’ve been implicated in the 2020 parlor game aren’t generating a lot of excitement in the survey, conducted Sept. 13-17. Despite his pedigree, Representative Joe Kennedy, 37, has only about 30 percent of Massachusetts voters rooting for him to get into the 2020 mix, according to the survey. And only 17 percent of voters said Representative Seth Moulton, a 39-year-old Marine veteran of the Iraq war and an ambitious disrupter in Washington whose name has bubbled up in presidential conversations, should run. Outside of the national limelight, Massachusetts political insiders have speculated that Moulton would mount a somewhat less ambitious but still audacious primary challenge in 2020 – going after Senator Ed Markey, a fellow Democrat. It is, after all, how Moulton got to Washington in the first place, bumping off the Democratic incumbent to gain his Salem-based congressional seat. And a recent New York Times story publicly aired that Moulton is weighing a challenge to the 72-year-old Markey. A potential Markey-Moulton matchup is not on voters’ minds, however. About 45 percent of independent and Democratic voters in the survey said they’re undecided on how to vote in that hypothetical primary. Of those who did take a side, Markey prevailed, 24 percent to 18 percent, over Moulton. “While insiders talk about this potential matchup, it is clear we blindsided folks in the poll with this question,” Paleologos said, pointing to the high number of answers in the undecided column. Parsing the numbers further, Paleologos said the overall survey is better for Markey, who has a high favorability rating among Democrats.